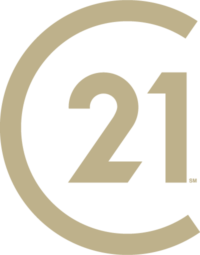 Deal yourself a winning hand – Century 21 Lakeside Realty Ltd.
Congratulations! After a careful search, you and your REALTOR® have found the right property for you and your family. But don’t uncork the champagne yet. There is still some negotiating to do before you close the deal. YOU want the best possible terms and the SELLERS wants to get the best price they can too. To some extent, you are adversaries. The difference between a stalemate and a fair compromise may depend on whether you have planned ahead and developed a strategy for success. Your REALTOR® will help you determine if the asking price reflects fair market value by researching the sale price of comparable homes and address questions about market conditions, comparable prices and sales in previous years that relate to this property and/or the general area. If you think the property is realistically priced, don’t make your first offer too low. Even though you need room to bargain, remember that the Seller will probably have strong emotional ties to the property and a low offer may be considered an insult and negatively impact your future negotiations. Knowing the market is key. When you decide the time is right, your REALTOR® will assist you in preparing an Offer To Purchase on a standardized contract required by law. The contact will set out price, terms & conditions, and dates for completion. The offer must be signed by you, witnessed and usually, include a cheque as a deposit. There is no predetermined amount for your deposit – it’s a negotiable item. The deposit will be cashed and held in the trust account of your REALTORS® Broker only after you have an accepted offer. The deposit will remain in the Brokers’ trust account until the deal is completing and then it will be applied to the purchase price. If your offer is not accepted, or if you cannot meet any of the conditions of the offer, your deposit will be returned unless otherwise specified in the contract. Your REALTOR® is legally required to present your offer to the Seller or Seller’s agent and, once that has been done there is nothing to do but wait while the Seller considers your offer. The Seller has 3 choices: to reject your offer, to accept your offer outright, or to counter-offer. When an offer is accepted – immediately or after countering – it becomes a legal contract binding on both parties to the transaction. Although you hope your offer is immediately accepted, the Seller could come back with a counter-offer. Whatever the answer, it will be quickly relayed to you through your REALTOR®. A counter-offer shows the Seller is interested in reaching a deal but wants to adjust some items in your offer. It is at this time that negotiation skills become critical and highlights the need for you to be open and honest with your REALTOR®. Negotiation takes patience, knowledge and some give and take. Frustration or finalization depends on whether both parties show a real desire to reach an agreement through openness, good faith and honesty. A conditional offer may be countered with a special clause called a “time clause”. This is used by Sellers to enable them to accept your conditional offer and still leave room for them to accept another offer. It provides for the Seller to give notice to you that another acceptable offer has been made and you now have a specified number of hours (not including Sundays and holidays) to satisfy, remove or withdraw all your conditions and make your contract ‘Firm’ or lose out to the other offer. You will be busy between acceptance of your offer and the time you actually take possession of the property. The transaction isn’t complete until you have title to the property transferred into your name. Registering title and mortgage documents at the Land Titles Office requires legal documentation prepared for you by your legal representative. But there is much for you to do before, during and after, that you need to give your attention to.